The Al Rowwad Cultural and Theatre Training Center is an independent, non-political, and non-governmental association in the Aida refugee camp in Bethlehem. Founded in 1988 by Dr. Abdelfattah Abu Srour and some friends—all of them residents of Aida camp—the Center is a grassroots organization run by and for the community to combat violence among children, teaching them to be promoters of peace. The Center’s general assembly includes residents of the camp as well other local Bethlehem neighborhoods, assuring connections with the greater area. The founders wanted to provide an alternative to the spiraling violence resulting from the Israeli occupation of the West Bank and to create a safe, child-centered space where the children of the camp could “be children again.” Through relevant educational programs and creative opportunities, the Center offers skills, confidence, and the awareness needed to build a more hopeful future. Al Rowwad believes in the cultivation of creativity as an alternative to violence in the fight against injustice. The arts are used to give the community a platform from which to tell their stories, as well as equipping community members with concrete skills to work more effectively for sustainable social change. All activities are open to girls and boys without discrimination. We highlight below our most important programs and our future projects. Al Rowwad started with theater in 1998 as an essential means for children’s self-expression and beautiful non-violent resistance. Since then, theater remains the priority of the Center as it gives the children the opportunity to express themselves freely and to show their talent: in one word, to act and be treated as normal human beings. When you are living in a world where violence and humiliation are your daily bread, this opportunity is a real chance. Theater in Al Rowwad has another purpose: to pass on to the children essential values such as a sense of justice, peace and freedom, respect for others, open-mindedness, love for the homeland, confidence, and a sense of belonging. We want our children to grow up with these values in order to prepare a future that will be better than our present. The theater group has performed in many countries (Sweden, Denmark, Egypt, France, Belgium, the United States) and in Palestine. When the children start a Dabka, the traditional Palestinian dance, their faces light up. Their eyes sparkle a thousand sparks. As they dance, their cheeks redden and their eyes shine with the enjoyment of the dance. Each time they stomp their feet on the soil, it is the heart of Palestine that resounds. This is a special moment. Teaching the Dabka keeps the tradition alive. Palestinian culture continues to flourish when the Al Rowwad choir masters the traditional melodies in the difficult but ever so beautiful style of Fayrouz. After much time, effort, and concentration, these youth master the singing and the dancing, and their dreams of performance come true. 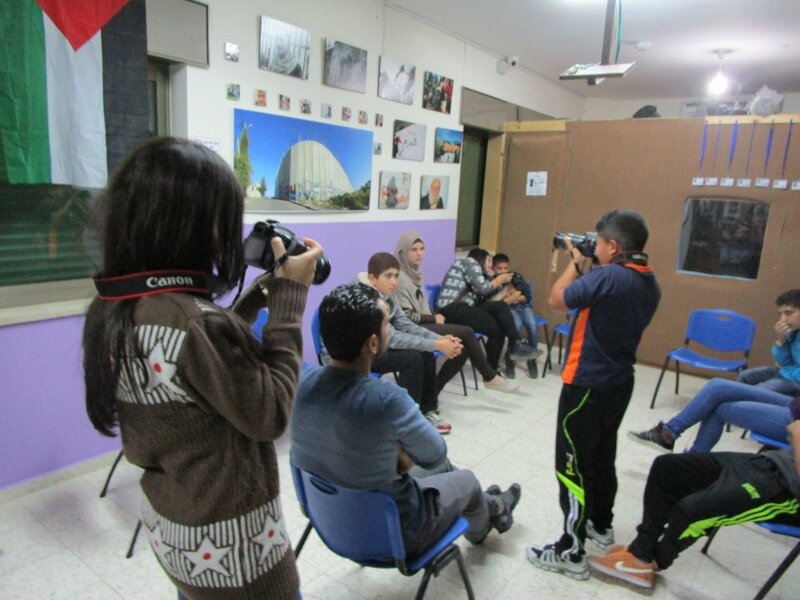 The program “Palestinian Images for Life” offers training in photography and video. After the training, students are able to work independently, using the resources at Al Rowwad to develop their own projects and become trainers for other projects. The goal is to establish a permanent center in Al Rowwad with equipment, training materials, and an adequate workspace. In an area of the world where so much of the media is focused on violence and conflict, this project puts cameras in the hands of local people. They are given the opportunity to show the how they see the world through their own eyes (www.imagesforlifeonline.com). The Center also works to support the women of the community through specific training programs, in recognition of the extra pressure that camp life puts on women as keepers of the family. 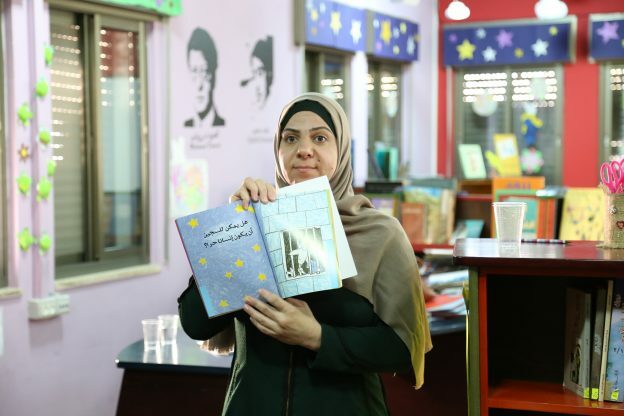 The confinement resulting from the occupation is particularly hard for the women, who spend most of their time in camp and have few opportunities for self-development and self-expression. Women represent the majority of the community. They are the first teachers of their children. Consequently it is important to help them deal with their children through psychological awareness and follow-up workshops, as well as to give them tools that will help them support their children’s education. The Center supports women with a wide range of opportunities, such as fitness, computer training, video filming and editing, job creation projects, and empowerment programs. These activities reinforce the women’s role in the community by improving their self-confidence and supporting their creativity. Given the psychological impact of life under occupation, children need to be given special attention. Most children in the camp have been victims or witnesses of violence during military incursions into the camp, and most families have a relative in the Israeli jails. The separation wall runs adjacent to the camp, cutting children off from what used to be the only open space for them to play. In this environment, a growing number of children are showing signs of psychological disturbances. There is a desperate need for a safe, inclusive space where children can find the emotional and psychological support they need. Due to a lack of resources, local children only go to school for half a day and classes are usually extremely overcrowded. This means that teachers are unable to give the necessary special attention to children with specific educational needs. Absenteeism is also a problem. For these reasons, it is vital that the schooling of local children is supplemented by extra programming. 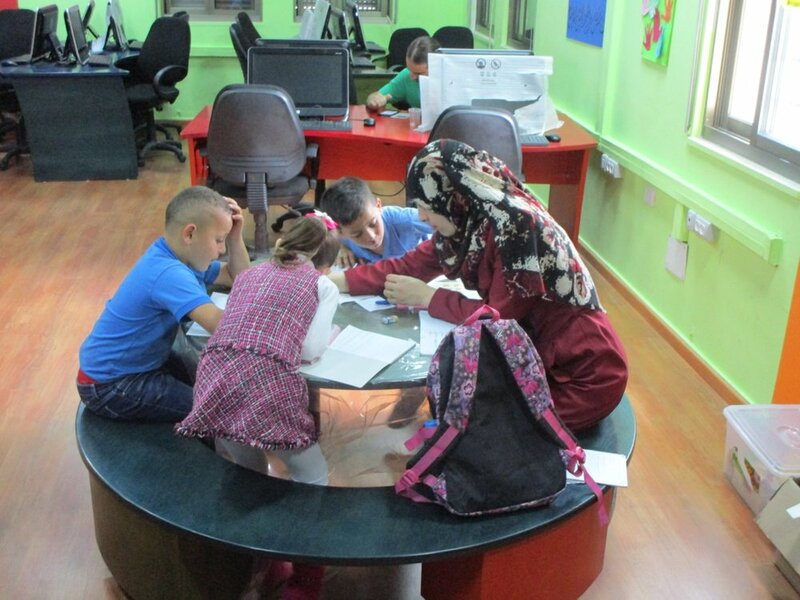 Through this program, 400 children from Aida camp, Beit Jibrin, and other neighboring areas are receiving professional teaching in Arabic, mathematics, and English. The Center has established a public library for the children. A computer center is under development to increase the number of computers and connections to the Internet (thereby supplementing children’s access to educational materials and resources online). This will also allow the children to expand their horizons by being able to communicating with others all across the globe.